hurray !!!! is all i can say,….Well done. Nice achievement Jason, well done!! You're welcome Jason! 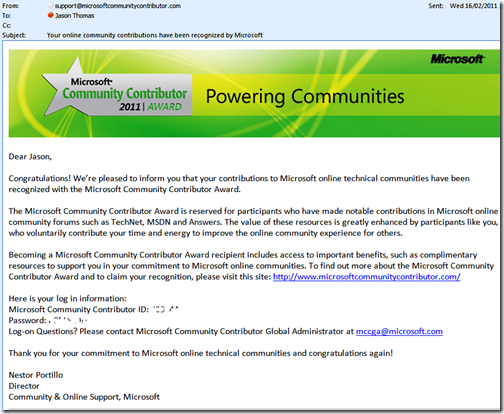 Some weeks ago I got a nomination as well (from a Belgian MVP) but haven't heard from Microsoft so far. I guess I'm not active enough to qualify yet?